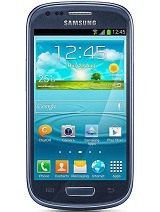 I have recently bought Samsung Galaxy Ace Duos S6802. I am facing a probem of Network conectivity Error with WIFI with all Internet Apps like Playstore, Facebook, Samsung Apps Download etc. 2:- While at WIFI, Its Internet Browser work only very efficiently. I have also update it firmware but it didn't work. Pl guide if any one have the same experience. So what is, according to you, the best android phone dual sim? Which one is the good to buy comparing prices, Fetures & performance? Pls advice me asap guys. how to knw level of battery left..??? 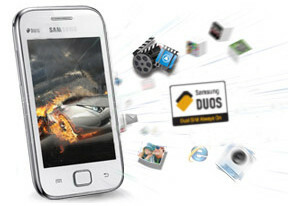 nd how to zoom the camera of samsung ace duos..?? i jst want to knw how to zoom in/out while clicking pics through camera of samsung galaxy ace duos..?? does it support whatsapp,viber n hike???? the phone has a network problem with vodafone sims. This has been told by the samsung service center.It does not pair with the vodefone network . You need to upgrade the sim of vodafone to use with ACE Duos . ALL Admin..Plz lunch 4.0 on Samsung Galaxy Ace Duos S6802 i hope ALL world people like,,,plz Update Samsung Galaxy Ace Duos S6802 ...4.0 ?????? malki, 16 Apr 2013I wrongly attempet to unlock and I forget my username and password hou to unlock my moblie Did you unlocked without user name and pass ?? becouse samsung all mobaile is update . but not update is s-gt 6802.